Traditional Camp is our week-long merit badge program. We offer a wide variety of merit badges for first-time summer camp participants and experienced campers, alike. Your scouting unit will have a designated camp coordinator who will be your “go-to person” for registration and payment deadline questions. Units sometimes have a separate “in-camp adult leader” who can help your youth prepare for his or her week at camp. Of course, our staff would be happy to answer any questions, as well. You can contact them here. If your youth can’t make it to camp for the merit badge program the same week as his or her unit, we recommend attending Provisional Camp (this can also be a great opportunity to spend a second or third week at camp). Your Scout can either join our camp’s “Ship 129” which is led by former camp staff and other adult leader volunteers, or you can make arrangements for your Scout to attend with another Troop or Crew. Hey troop leaders! Your journey to a successful summer at Ma-Ka-Ja-Wan begins with reserving a campsite. You’re better off doing this early, because the sites fill up fast. Here is the newly added 2019 RESERVED CAMPSITE CHART. This is a continuously updated Google document (date it was last updated is shown), but it does not guarantee availability of a specific site for a specific week. Contact the Program Director with questions (see Contact Us). Each campsite you reserve costs $75 per site, per week. Examples: Blackfoot A and B for Weeks 1 & 2 would cost $300, but for Week 1 only, it would cost $150. Boone A, B, and C for Week 2 would cost $225. NOTE: This is not a deposit. It is a one-time site fee. It is not applied to this year’s Scout/Adult Leader Fees and cannot be reapplied to future years, even if you cancel the current year’s site reservation. It is non-refundable, so please only pay for the number of sites you are confident you can fill. Thank you. NOTE: Venturing Quest is Week 2 (June 30-July 6). Complete the MSR Campsite Reservation Request Form-2019 and mail or bring it to the council office with payment. Please provide accurate numbers, so we can find the best campsite for you (of the ones remaining). Please note that this form is a request, not a guaranteed reservation, and the fee you paid is strictly a site fee. It is non-refundable and will not be applied toward any other summer camp fees. Please be advised: We may have to move you around (or pair you with another troop), if your numbers do not match the campsite capacities. What if my scout cannot attend Traditional Camp the same week as his troop, or they wants to stay an additional week without his troop. Can they? Yes! During each of our six weeks of “Traditional” Camp, a Scout will be able to participate in the exact same week-long merit badge program, even though their own troop will not be there. Sorry, this program is not available for adults. Go to: https://scoutingevent.com/129-2019MSR for the “MSR Troop and Venturing Camps 2019” event page. Registration Contact – You are the registration contact, but provide your Scout’s unit information on this page. Also provide your cell or other daytime phone number. It then opens to the Attendee tab, where you provide your scout’s name and unit leader information (name, email, phone). This is also where you tell us who he will be “Attending With” (see below). Make sure to click on the “Check-out” tab to pay his fee and complete the registration. Another Unit: Some Scouts have friends in another unit, who will host them for the week. Make arrangements to stay with them, but pay the fees yourself. Or, they can add your scout as a Provisional Camper to their registration. Ask them about transportation to and from camp for your Scout. If completing this registration yourself, list your scout’s unit number. You will be asked for your scout’s unit leader information and the other troop’s number. Camp’s Unit (Ship 129): We will provide a unit with 2-deep leadership for your Scout, so he can attend the week that works best for him. If making this choice, no other information is needed. IMPORTANT: In the past, the only way to sign up for Provisional Camp was with a paper form, that was signed by the Scout’s Unit Leader (Scoutmaster or Crew Advisor). We’ve made things easier for you, by allowing you to register him/her online. But, we still need you to provide his or her Unit Leader’s first and last name, daytime phone number, and email address. 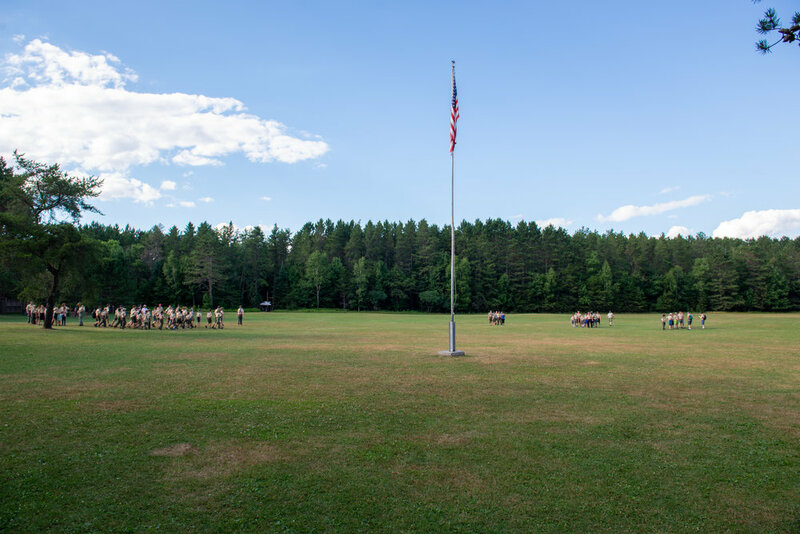 Want to check out Ma-Ka-Ja-Wan Scout Reservation for yourself? Sign-up for a Day Pass and come see the excitement of our Camp for yourself! You can sign up for a Day Pass here.